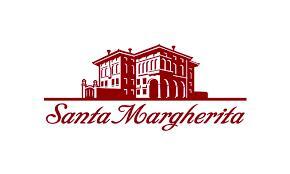 Santa Margherita introduced Pinot Grigio in 1980, and has become one of America's favorite premium wines. Recently voted the most popular imported wine, red or white, in top restaurants for the 11th consecutive year (Wine & Spirits 4/06), Santa Margherita remains a favorite among wine enthusiasts for its crisp, ripe character and consistent quality. "The aromas of this complex red wine range from cherries and plums to gladiolus flowers and earthy flint. The tannic, oak-aged flavors are bright and round, with a dry, warm, earthy finish." Alto Adige, Italy- This dry white wine has a straw yellow color. Its clean, intense aroma and bone-dry taste (with an appealing flavor of Golden Delicious apples) make Santa Margherita's Pinot Grigio a wine of great personality and versatility. "The color is straw yellow, with an aroma that has a lively vinosity characterized by a fine fruity fragrance and an elegant long-lived mousse. On the palate the wine tastes pleasantly dry with a well-balanced acidity, making the wine fresh and lively." The aromas of this complex red wine range from cherries and plums to flowers and earthy flint. The tannic, oak-aged flavors are bright and round, with a dry, warm, earthy finish.